I am writing a novel and short stories. I have a part-time job that can easily take up all my time. I am helping with GCSE and AS revision, have a flat that needs decorating and deep cleaning and need to take more (or some, any to be honest) exercise. So I have decided to learn the flute. I always wanted to learn an instrument when I was younger. At school, lessons were private and money was too tight. I had a sad attempt at the saxophone when I started earning a wage: best forgotten. My daughter’s father is an accomplished guitarist: teaching is not among his best qualities and my theory books went to the charity shop. Then I just seemed to do too much work, had a child, found numerous excuses and one proper reason when I had wrists encased for a year as a result of De Quervain’s syndrome. As today is the deadline for a short story contest, it has been the perfect week for procrastination-induced flute commencement. It has just occurred to me that I am not the only one putting things off here: teaching me the is a great get-out for not learning about natural disasters and coastal formation. So now, after three ‘lessons,’ I can make a sound come out of the wretched thing about 50% of the time. All right, 30%. I know how to play the notes B, A, G and C and can just about recognise them written in music even with the pencil letters underneath rubbed out. BAGs is the first piece in the baby flute book: the first three notes repeated. I should go and work on it it now and then deal with that story deadline. 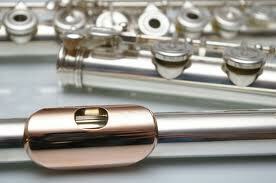 Maybe it won’t be too long before flute procrastination means that I write as displacement activity. I started this blog in the hope of writing more, as encouraged by the wonderful Weekly Blog Club. It has certainly helped me to do so: the deadlines, a readymade structure and community and the unexpected, delightful supportive comments. I’ve been writing professionally for decades as a reporter and in varying press office posts. No matter what some might think of journalists and PR people, all this writing has been factual. Fiction is new to me and it’s what I want to work on. So this week I am stepping outside my comfort zone and posting a very short story. There are varying lengths of flash fiction: this is under 300 words. 292 without the title, to be exact. 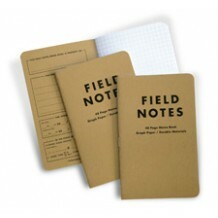 It mentions notebooks twice. I have a slight notebook addiction. These are next on the shopping list. Sarah decided to give two pounds each day to the homeless and hungry for a month. Four people each day: the first to ask, no matter who, would get 50p and so on. She didn’t show him the back pages, where she would write about her feelings. As soon as Sarah woke on New Year’s Eve, she thought about giving more money away. Their holiday savings account was primed for a fortnight’s skiing and spa in St Moritz. How lovely to give people £20 notes rather than 50 pence pieces. She would need a new notebook. My two devils aren’t that brilliant pair: Satan and Scumspawn from BBC Radio 4’s wonderful comedy Old Harry’s Game. I’m cursed with Procrastination and Perfectionism. They’re out in force, hand in hand as usual, as I write this at 6.30am despite promising myself that this week I would post early. Today I’m going to try to give them a good kicking. It’s not the best start. WordPress is playing up and won’t upload the picture I saved for this post. Perfectionism means that every fibre of my being shrieks: ‘Stop writing until that is in place. It’s utterly vital for illustrating your point.’ So Perfectionism can go to Hell. I’ve gone back to that last sentence to rewrite its ending about ten times. I’m not going to tell you how many times I have rewritten this paragraph: you would either not believe me or call the appropriate emergency services. Despite my best efforts, I’ve also wasted more time trying to upload the picture. Kick me if I say that again. Someone told me recently that they found it frustrating having to manage perfectionists at work. After feeling offended, I can see the point. I hit the ground running and make an awesome start of things. Completing them is different. A deadline is pretty much the only way that I can ever finish any project and nothing that I do ever seems good enough. My mother told me not so long ago that my parents decided not to praise me as a child. They were concerned that my brother, severely mentally ill from a young age, might feel upset by my doing well at school. He left education at about the age of eight. I wonder sometimes if that has contributed to those ‘should do better’ feelings: my constant striving to get more qualifications and take on new roles. As a parent myself, these demons are a constant horror. The idea of being a ‘good enough’ mother is hard but something I try to bear in mind. I have had to take out the word ‘just’ before ‘good enough’ several times there. Earlier this week I read a terrific blog piece on procrastination which crippled me into further inactivity: I was furious at not having written it myself. It’s by Morna Piper in women’s writing magazine MsLexia. When I get round to it, I will leave a comment on her post as I can relate to almost every line. I live in a tiny flat in the East End: there isn’t even a balcony but there is plenty of noise, anti-social behaviour and bright lights at all times. Three years ago on 4 May, we had our wedding reception at the London Canal Museum. This was not because for any canal or boat-related reasons but rather because it was affordable, central, spacious and different. Now I would add to that a fervent belief that all wedding receptions should feature a huge central ice well and life-sized plastic horse. I had never been on a narrow boat: my husband had one childhood trip. Some six holidays later, I am a complete convert and would live on a boat tomorrow. Today, even. There are so many attractions. The paring down of my usual every day things. I have far too much stuff and it is always salutary to find out how little is necessary. Enforced relaxation comes with the realisation that nothing can make the boat move more than four miles an hour. No power on earth can make water fill or leave a lock faster than the time that it is going to take. I rediscover a patience that never features in my usual multitasking days. As Spike Milligan said, there is time to say ‘Look at that’ rather than ‘Did you see that?’ We’ve met hundreds of people on or by the canal: only three have ever been less than friendly or helpful. If I compared that with the average for encounters in London, I think I’d probably cry. We try to moor where there is no sight or sound of people or buildings. It’s amazing that you can do this within a handful of miles of major cities in England. It’s a constant joy that there are remote and stunning places I have never seen or heard of before so close by. We heard owls and lapwings, saw bats and kingfishers and herons catch fish and return to young in nests, cooed at countless ducklings and spent a couple of days doing little more than watching these cows. Well, there was actually a brilliant gastropub nearby too but we didn’t know that when we moored. Outside of splendid isolation, we time-travelled on a tiny steam train full of Second World War re-enactors and visited little village pubs that would make Orwell sob with happiness for his ideal local. I’ve had brilliant holidays that have been more exciting: snowboarding and scuba diving and marvelling at foreign cultural icons. But falling asleep in darkness (with stars too: how novel) and waking up to birdsong has a simple beauty and feeling of how things should be that I find hard to beat.